The North Korean regime continues its campaign to present leader Kim Jong-un as an approachable modern statesman, with an attractive wife on his arm and other photogenic trappings. 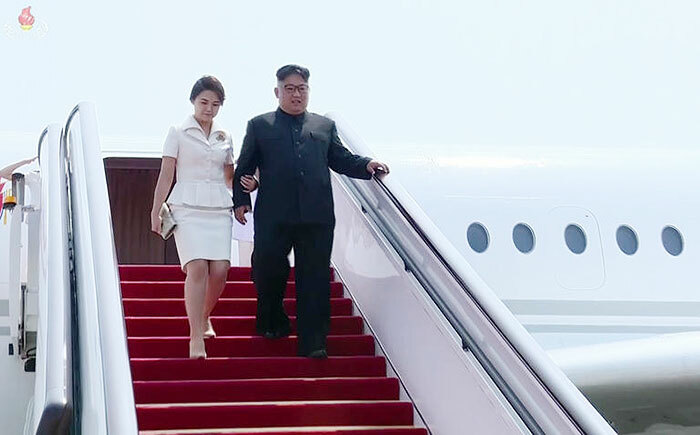 Last Thursday, state TV showed Kim on his third visit to China, disembarking from his aircraft with his wife Ri Sol-ju affectionately holding on to his arm. 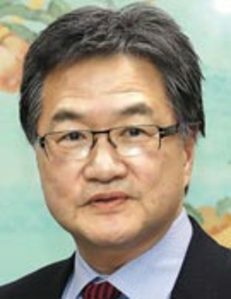 An unremarkable event anywhere else, it was a small bombshell in North Korea, which besides many other eccentricities is spectacularly puritanical and has always hidden the spouses of leaders away. The TV announcer also reported Kim's praise of his host, Chinese President Xi Jinping, as an "excellent leader," contrary to past practice of making it seem that there could be only one excellent leader in the world. Footage also showed Kim casually smoking a cigarette as he chatted with diplomats at the North Korean Embassy in Beijing.